This will likely be m y last newsletter before the big move to our new facility in late March. All indications are that we are on track for starting at the new building on March 28th, 2016! I’ve been assigning classrooms and offices and working with district staff to ensure a smooth transition. In the coming weeks you’ll be receiving communications from me regarding that first day, our expectations for students, and the traffic pattern procedures for drop-off and pick-up. We will also utilize our homeroom classes to teach students the new procedures and guide them to understand where their classes will be, where to go for support, and general protocols for the new campus. SBAC (state) testing will begin in early April after we move into the new building. Students will again use computers and tablets to complete the exam. Students need to continue working hard in all their classes in preparation for this summative assessment. Please continue encouraging your students to do their best each and every day. It seems like school started just the other day and yet here we are at th e end of our first quarter. Students have been working diligently each day with the support of our hard-working faculty and staff. Once again we are at capacity at Korematsu. We started the school year with 60 more students than we had last year. I think we are all looking forward to moving into our new site for a little breathing room. March 28, 2016 will be our move-in date. Spring Break this year will be March 21 – 25, 2016. During that time, staff will be moving our remaining important items into the buildings. As we get closer to the big move, we’ll be sending information home regularly. We will need to cover topics from safe routes to school, transportation options, campus maps, to general guidelines. About a month ago, we received our SBAC scores. These scores represent the first end-of-year assessment since the old paper-and-pencil STAR tests. This new assessment is a data point and represents an opportunity to refine and target our instruction more effectively. Another recent test was the PSAT 8 exam. This was for our 8th grade students only and once we receive scores, it will offer students a sense of academic strengths and provide information regarding areas where support and practice may be needed. Thank you for your continued partnership and support of Korematsu Middle School. Please encourage your child to do their personal best everyday. In case you missed the 2015 “State of the School” Presentation at Information Night, here is my powerpoint presentation. Have questions? Email us at KorematsuPTSA@gmail.com. I am pleased to announce that KMS has embarked on a five year program to improve campus culture through an innovative program called Safe School Ambassadors. Safe School Ambassadors training for students and staff began in mid-January. Participating students were carefully chosen by other students and staff members. The training gives student Ambassadors the motivation and skills to resolve conflicts, defuse incidents, and support isolated and excluded students. After the training, small group meetings of Ambassadors are held every few weeks. These meetings, led by the adult mentors, provide time for strengthening skills, support data collection and analysis of Ambassador interventions, and help sustain student and adult commitment to the program. This program is provided by Community Matters and is made possible by resources from the Local Control Funding Formula. For more information about this program, please see http://community-matters.org/programs-and-services/safe-school-ambassadors. As the Principal at Portola Middle School, each new school year brings equal doses of pride, excitement, hope and determination. The one word that is at the forefront of my mind this year is innovation. Due to the hard work of our students, families and community we have successfully laid a foundation that can support innovation in ways we have not been able to do in the past. We have made steady, positive change over the years and these new programs have the potential to accelerate our growth and provide opportunities to better meet the needs of all our students. 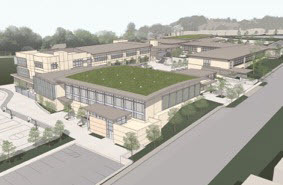 For those of you who don’t already know, we broke ground on the new Portola building this summer and anticipate the new facility will be ready during the 2015/2016 school year. As we “break-ground” on innovative forms of pedagogy this year, I am looking to an even brighter future when we take what we’ve learned into our new facility and continue to build on the groundswell that is well underway. We had our first Universal Design for Learning (UDL) training this August with the WCCUSD Scholar-in-Residence, Dr. AnnMarie Baines. UDL provides educators with a blueprint for creating instructional goals, methods, materials, and assessments that work for everyone–not a single, one-size-fits-all solution but rather flexible approaches that can be customized and adjusted for individual needs (http://www.udlcenter.org). 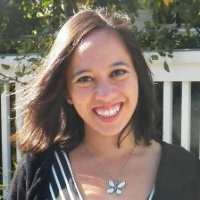 Dr. Baines is a professor at San Francisco State University and is at the forefront of the UDL movement in the Bay Area. Portola teaching faculty, along with a graduate tutor, counselor, two administrators and two board members attended the first of several daylong sessions. There is excitement in the air with this new approach at Portola. Our aim is to make school interesting and challenging for all of our students by accommodating each student’s needs for multiple means of representation, expression, and engagement. In addition to leading the initial UDL trainings, as the Scholar-in-Residence at Portola, Dr. Baines will also be supporting us in ongoing professional development activities. She will be observing classes as they implement UDL and coaching teachers on a regular basis. Throughout the year, she will be available for individual consultations, and develop and lead trainings to support faculty and staff in providing the best learning environment for all of our students. We are now entering our third year of Dual Immersion Spanish language instruction at Portola. This is the continuation of a program started at Washington Elementary in Richmond where students are given instruction in both English and Spanish starting in kindergarten. At Portola, these students take Advanced Spanish as well as a History class taught in Spanish. We just sent our first graduating class to El Cerrito High school to continue their learning. 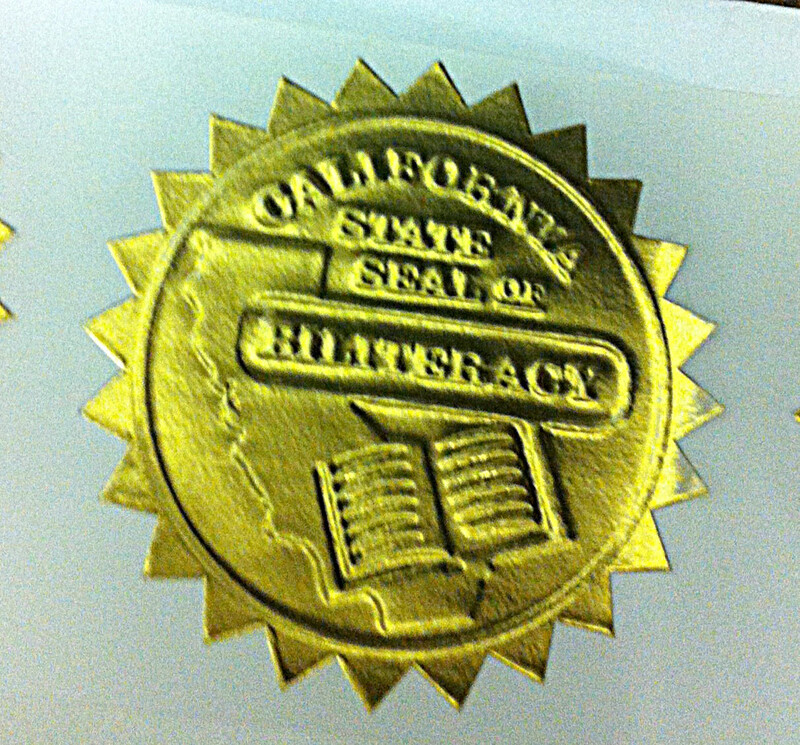 If students pass the AP Spanish test they will receive the highly regarded California State Seal of Biliteracy on their diploma. The goal of the DI program is to create biliterate, global citizens who will be able to navigate and participate in our ever-growing global economy. If there are students who did not participate in the DI program at Washington Elementary but speak, read and write Spanish at a 7th grade skill level we allow them to test into the DI program. The gains we have made at Portola are due to many factors, one of which is community involvement. If you would like to donate or become involved in the PTSA at Portola, please visit http://portolanews.com/open-ptsa-jobs/. If you would like to participate in another innovative program at Portola that connects community members with students, please consider becoming a Writer Coach. More information about that program can be found at http://writercoachconnection.org/. If you have any questions or feedback, please feel free to contact the PTSA at PortolaPTSA@gmail.com, or GoPortola* at GoPortola@gmail.com. *GoPortola is a parent group providing advocacy for programs and resources for Portola, as well as a source of information about Portola Middle School’s parent community, facilities, performance, and features. For some reason I completely skipped fall and winter. Though in my 15 years in the bay area I am not quite sure winter is the correct word. It is testing season again. At the end of the April we will begin with our California Standards Test. While not the best measure of knowledge and learning it is the measure we currently have in California. We are in the midst of talking to students about the best ways to be prepared for these exams. To date we have conducted two school wide lessons. The first provided each student with a brochure that explained why we have students take the exams as well as two years of English and Math scores. The brochure also has the testing schedule. We asked students to set a goal for improvement during the lesson. We also ask students to develop a plan for how to achieve their set goal. At the end of our CST preparation period we’ll go back and review the goals students originally set and ask them if their goal and plan is adequate. Our aim is that students take ownership of their performance on these exams and make achievement a priority. We are excited for our second annual Portola Faire on April 20th, 2013. Please come and celebrate with students, staff and the community another positive year at Portola. If you have time and energy please think about volunteering to support our Faire. I hope everyone has a relaxing spring break because we will hit the ground running on April 8th in the hard press toward the end of the school year. There will be a lot going on in classrooms and much preparation for testing and a big send off for our 8th graders on their way to high school. At least that is what the beginning of August brings for me. Is is a seasonal change really. Though El Cerrito and the surrounding micro-climate(s) are bound for warmer months, the approach of a school year brings a renewed and refreshed focus on education for many. I have spent the last month or so watching my children engage with the world. The further away from civilization we traveled the more my boys discovered their surroundings. It was quite magical and certainly a privilege to spend so much time with them at such a young and vibrant age. Having watched my kids this summer I believe teaching can and should engage all students. We need to push for an active learner educational environment with limited teacher talk and more student interaction. This is essential as we need to develop the capability for our students to work together within a rich diverse environment and solve real world problems. As teacher (can it be seven years ago?!) I planned my lessons painstakingly so as to make sure my talk time was limited to less than 15 minutes per hour. It was easy to see that my students learned more when working together. I was the coach. I could provide tools, and resources and clarification when needed, but it was my students who could discover the text and then work as a team to create a product that exemplified mastery. Though we are hampered by large class sizes and an increasingly fragile financial outlook we can still innovate at Portola. If we work together we can continue to create an excellent educational experience for students. Schools today require a strong commitment from parents and community members not just from teachers and administrators. luckily Portola is blessed with amazing support from parents. In a week or so we will have our annual walk-through registration, and staff at Portola will begin feverishly getting everything ready for our students. We will then have professional development days for teachers and hold our breath as we welcome students back to school. In the meantime I hope you will have the opportunity to spend time with your family and watch the active learning that takes place outside the classroom…let’s work together to bring that learning into the classroom.